The home of pasta. The birth place of pizza. Only in Italy can you indulge in regular carb binges and still feel classy. Sadly, our bodies just don’t seem as well equipped to deal with a regular carb beating as our Mediterranean pals are, but that sure as hell won’t stop us from finding the best Italian we can find on home soil! Whether you’ve got a dose of post-holiday blues, or you’re about to jet off to some idyllic Italian town for some r ‘n r (us? Jealous? 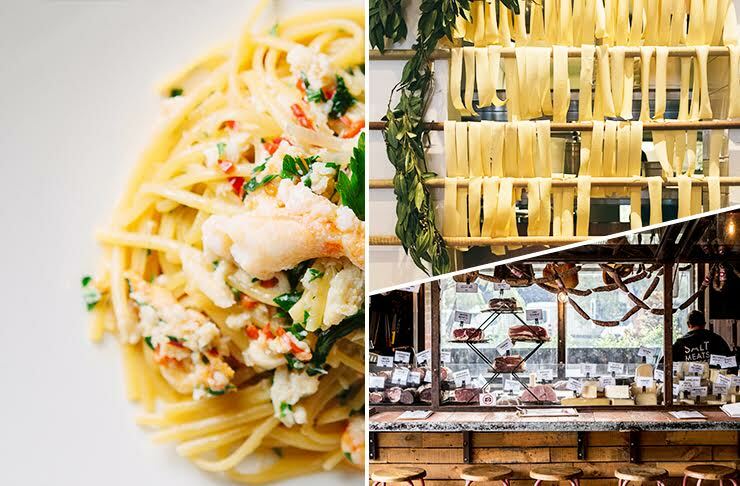 ), we’ve been inspired by Emirates' network of four Italian destinations including Rome, Venice, Milan and Bologna (the home of Bolognese, don’t you know), to bring you our list of the Australian restaurants, cafes, delis and gelaterias guaranteed to give you a taste of La Dolce Vita. Tipo 00 pushes the boundaries of truly modern Italian cooking, while embracing the tradition that lies within the heart of each of their dishes. From their freshly baked focaccia, to dishes like smoked spaghetti with NZ diamond clams, it’s great-tasting Italian classics, with a mild-mannered twist. Taking inspiration from Bologna and Modena, Emilia’s focus is on the simplicity of their dishes. Classics like the Tagliatelle alla Bolognese and fluffy potato gnocchi will satisfy those carby cravings for a pasta dish any night of the week. Dining at Grossi Florentino is unlike your low-key trattoria; cue Renaissance style frescoes, white tablecloths and impeccable service—and we haven’t even gotten to the food! Try the Gran Tour menu, if you’re really looking to indulge. With creative menu that changes daily, and ingredients that change with the seasons, Vini is authentic Italian fare at its best. They also have a fantastic range of Italian wines on offer, so if you like what you’ve tasted, then you can pop over the road to 121BC (their bottle shop) and choose from over 250 drops. 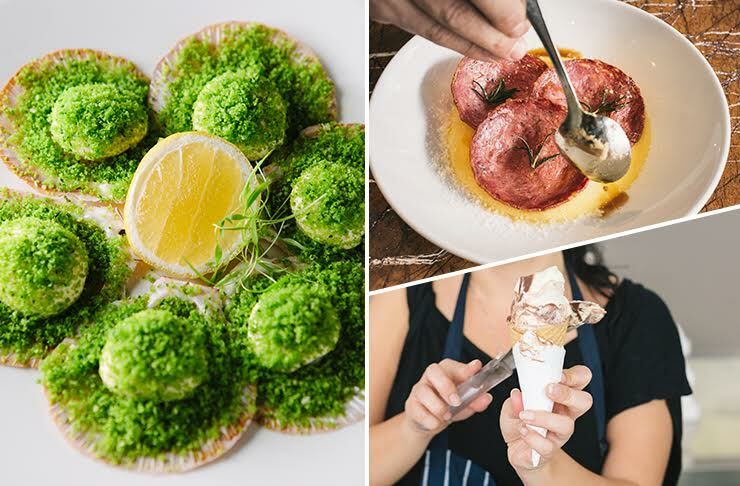 With a reputation among hungry Sydneysiders as some of the best Italian fare in Sydney, A Tavola is all about communal dining and shared experiences—not unlike a typical Italian dinner! Rub shoulders with fellow diners and enjoy one of life’s greatest pleasures: a delicious dish of handmade pasta! CBD pizzeria and bar, Coppa Spuntino offers up specialities like pizzetas and a selection of ‘spuntino’—that’s small share plates for the likes of you and I. Think post-work drinks that turn into late night gatherings of friends and great-tasting food. Pasticceria Papa has a loyal following, and is totally worth the journey across town (and the wait in line). Not just the perfect place to pick up your weekly loaf and latte, their ricotta cannoli and freshly baked sfogliatella will become a regular feature on your shopping list. Not just a kickass restaurant, Brunetti also creates delicious Italian treats to devour with your morning/siesta-time coffee. Specialising in a variety of biscotti, cakes and chocolates, we suggest avoiding at all costs if you lack in willpower. Marchetti is tiny café and wine bar in the CBD, and as authentic as they come. With a menu focusing on Italian-style sandwiches, cakes and pastries (we’re lusting after the Italian Nutella roll—stuffed with Nutella, crushed pistachios and cream), stop in for the veal meatballs, a glass of vino and something sweet. Treat yourself! Get lost amongst local and imported deli treasures at Brunswick Street Alimentari. From their impressive cured meat and cheese counter, to the sheer variety of pantry favourites, this is one super-stocked deli. Get lost perusing the warehouse-style isles of Salt Meats Cheese for freshly made pasta, homemade cheeses, sauces and cooking ingredients, anything you can think of really. No, you don’t need that bag of Italian biscotti… But we both know you’re going to buy them anyway. With a cheese and cured meat counter larger than your living room, we guarantee one step in New Farm Deli's door you’ll forget what you came in for. Pick up handmade pastas, sauces and snacks, and make sure you order something off their menu to tame that hunger! Originating from Bologna, friends Matteo and Matteo, make sure La Macelleria’s ice cream tastes just like it does in their hometown. Flavours range from classic Fior di Latte and Bacio, to contemporary options like Salted Caramel and Tiramisu. Deciding is harder than it seems. The Willy Wonka of the gelati world, flavours and creations are well worth the line up at Gelato Messina. Though championing insane flavour combos, traditional recipes are still adhered to, creating truly modern classics.